State and local government entities and the Squaxin Tribe have been meeting since the mid 1990's to evaluate alternative plans for the Deschutes Watershed, including Capitol Lake. Community organizations, most notably Capitol Lake Improvement and Protection Association (CLIPA) and Deschutes Estuary Restoration Team (DERT), have independently reviewed, studied, and proposed alternative plans for the Deschutes Urban Watershed. The State Capitol Committee (SCC), with the assistance of the Department of Enterprise Services (DES) contracted with the Ruckelshaus Center to complete a Situation Assessment. The Washington State Department of Enterprise Services asked the Ruckelshaus Center to conduct an interview-based situation assessment to explore issues and opportunities regarding the future management of Capitol Lake in Olympia. This assessment explored relevant issues and interests of involved parties, along with the dynamics of the situation. The Center reached out to a balanced cross-section of parties to capture a wide range of perspectives. The assessment culminated in a report articulating the major issues and key parties involved and documenting their interests and perspectives. The report also analyzed and explored the prospects for a collaborative process to address those issues. In this context, a collaborative process means a solution-focused dialogue among all the key interests, participating willingly, that is convened and facilitated by a neutral third party. This objective review identified some of the reasons why the community and the State have been unable to advance a community endorsed Plan for the long term management of Capitol Lake and the Deschutes River Urban Watershed. The Report provides insight on the challenges, and also some next steps forward. The SCC and the Department of Enterprise Services outline for updating the State Capitol Campus long range plan, including the middle and north basin of Capitol Lake as a part of that updated Plan, is an excellent foundation for the entire Community to add to and expand their portions of a progressive program for all to follow. Five of the involved local governments are also independently developing plans that have a direct bearing on how the larger Community will be able to access, use and support an exciting program that will benefit the anticipated future 500,000 citizens in Thurston County. Working together, the Community can develop a more useable plan if all of the government and private sectors participate in a transparent and shared process. The State's leadership is critical and is the catalyst that is now needed. The common theme in all of this is that the Deschutes Watershed and specifically the Urban Watershed is an important part of our community with many different ideas on how to improve upon it. The available studies, and ongoing analysis are many. The missing element is the government leaders and the community working together to define a long term management and improvement program that then becomes an integral part of our community's everyday life and is managed accordingly. All of this becomes an amazing urban waterfront for our citizens. 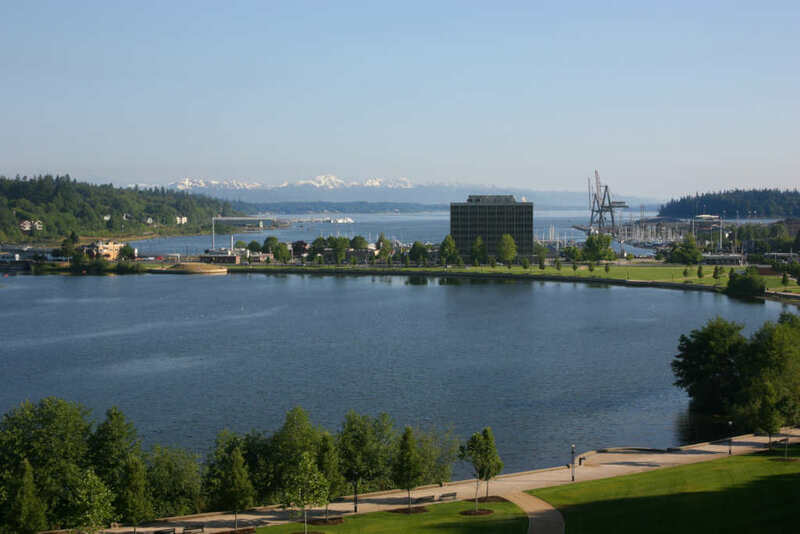 Joining this effort will be the Port of Olympia and the many small business and community groups seeking to help make the Deschutes Urban Watershed a place that will be the family and social center, where the citizens of the State and county seek to promote a thriving economic center for themselves and their children’s future. The Ruckelshaus Center provides the positive push to more forward together; taking joint steps and where there is a difference, SSC/DES should bring in a third party to address the issue, and recommend a solution to the SCC and keep moving. The "escape routes" and the "do nothing" options are no longer available to the local governments and the SCC. It is time to stop talking and have all interested parties come to the table and participate - including the SCC, local governments and those with answers, not just opinions. CLIPA believes that there will be NO MONEY from the State or Federal programs without a shared Comunity Plan. CLIPA seeks a collaborative and transparent review of all options and the science that supports a long term sustainable approach, beginning NOW. Opinions are of little value unless they are part of an effective program that can be implemented and paid for. Insight on the challenges, and some next steps forward for a community endorsed plan for the long term management of Capitol Lake and the Deschutes River Urban Watershed.